As I mentioned before, I am a man. Which means at one point, I was a boy. So were my friends. And believe me, we did not have kinds words to say about bossy boys that we encountered. Did we call them “bossy?” No. But not because they were boys. It’s because we were boys, and therefore “bossy” was far too pedestrian a term. To us, they were assholes, or dickheads, or pricks, and frankly, we couldn’t stand them. So please, don’t you dare try to convince the world that bossy men are somehow celebrated due to their Y chromosome while bossy women are denigrated for their lack of it. Bossy people are assertive. Bossy people are driven. Those are good traits to have and should be celebrated. Therefore “bossy” behavior is good and should be celebrated rather than shamed. Am I the only one who sees the glaring logical fallacy in that thinking? I can expose it by answering one simple question. Q: Do you know who else is assertive and driven? We need the razor wire because the inmates are just so… assertive. See, there are positive, admirable character traits to be found in the most heinous of people. 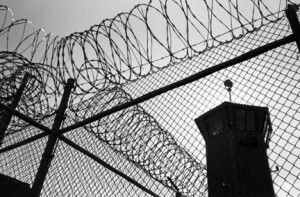 In fact, I’m sure most every penitentiary is filled with assertive, driven, ambitious, take-charge, strong, confident people. That’s not why they’re locked up. Unfortunately, they most likely have a long list of negative traits that shouldn’t be swept under the rug simply because they have a few good ones. Imagine, if you will, attending a 1st or 2nd Grade class presentation on the topic Famous People I Admire. Now imagine a cute-as-a-button little kid getting up in front of the class to present. Maybe he’s even got a diorama or poster as a visual aid. Mind. Blown. You’d be looking around the room thinking “What the hell did I just hear?,” all the while trying to wrap your brain around the poster with a photograph of MLK delivering his I Have A Dream speech surrounded by a bunch of swastikas drawn in crayon. But why would you be so shocked by that presentation? Are assertiveness and determination not admirable qualities? You’d be shocked because you know there’s more to Hitler than assertiveness and determination. And knowing the whole story, you cannot ignore the rest just to maintain your narrative. 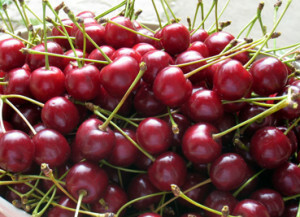 In other words, we can’t cherry-pick the positive attributes to redefine the nature of something. Focus on just the good character traits! “Bossy” has a negative connotation for a reason. Because most rational people know that being bossy is not just about being assertive and driven. Or about being ambitious or strong. What makes someone bossy is a disregard for others, hubris, pushiness, stubbornness, lack of empathy. Bossy people are arrogant, selfish, abrasive, domineering control freaks who see others merely as a means to get what they want. They are physical or intellectual bullies (or both) who will gladly resort to using fear and manipulation to get their desired outcome, if so required. In short, they are what we boys called them back in school: assholes. 3 year old: I WANT MY COOKIE! GIVE ME THE COOKIE!!!! BBP: Oh, I just love how assertive you are! Here’s two cookies instead. Maybe it’s just me, but a response like that would be nuttier than the Planter’s factory. 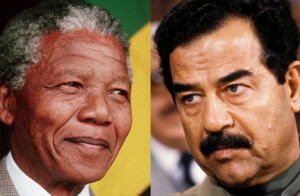 Daddy, I want to be a leader – like Nelson Mandela or Saddam Hussein. It is absolutely imperative that we as a society not encourage true bossy behavior to thrive under the guise of leadership. Bossy is about being a tyrant, not a leader. The best leaders are not, in fact, bossy. Leaders create a vision and inspire others to follow it. Leaders seek the input and perspective of others in order to learn and improve. Leaders openly sacrifice and give of themselves, which inspires others to do the same. Bossiness has far more in common with Antisocial Personality Disorder and Narcissism than it does with Leadership. And a total disregard for how our behaviors impact other people is a weakness, not a strength. Bossy isn’t about being assertive, or ambitious, or opinionated, or confident, or strong, or in control. Bossy is an attitude, a style. It’s not defined by what you do; it’s defined by how you do it. It is possible to be assertive and polite. To be ambitious and sensitive. To advocate humbly. To stand up for your beliefs without denigrating those of others. To be opinionated without being abrasive. To be confident without being arrogant. To be strong without being domineering. To be in control without being controlling. 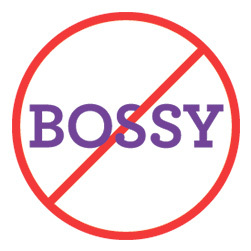 Simply banning the word bossy does nothing to address the negative traits of bossiness. It does nothing to promote introspection or accountability for how we treat others. It does nothing to nurture empathy and compassion. Yes, we all would love for our kids to be good leaders and successful. And bossy people may often wind up in positions of power and financial success – but at what cost? They get there because they are willing to do whatever it takes, without any thought of who they may have to step on along the way. Bossy people tend to create division in groups, alienate people, and foster feelings of resentment in others. Bossy people struggle relationally because nobody wants to live with or routinely associate with someone who acts like they do. So who in their right mind would want that for their kids? As for me, I’m encouraging my kids to be psychopaths. After all, psychopaths are charming, and that’s good, right?